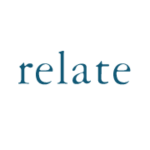 Relate's vision is a future in which healthy relationships are actively promoted as the basis of a thriving society. With over 75 years of relationship support experience, we know that sometimes everyone needs a little help. We can help you if you're single or in a relationship, straight or gay, young or old. Whatever your circumstances we're dedicated to helping you get the most out of your relationships, no matter how big or small the issue. - helping both the public and policymakers to improve their understanding of relationships and what makes them flourish. We work together with partner organisations to raise national awareness of relationship issues. We’re a member of The Relationships Alliance, Kids in the Middle coalition, and the Family Room group. We also work in partnership with PACE and Marriage Care to give you easy access to relationship education, training and coaching. Together, we aim to help you strengthen and nurture relationships in the early days, or as your relationship becomes more serious.